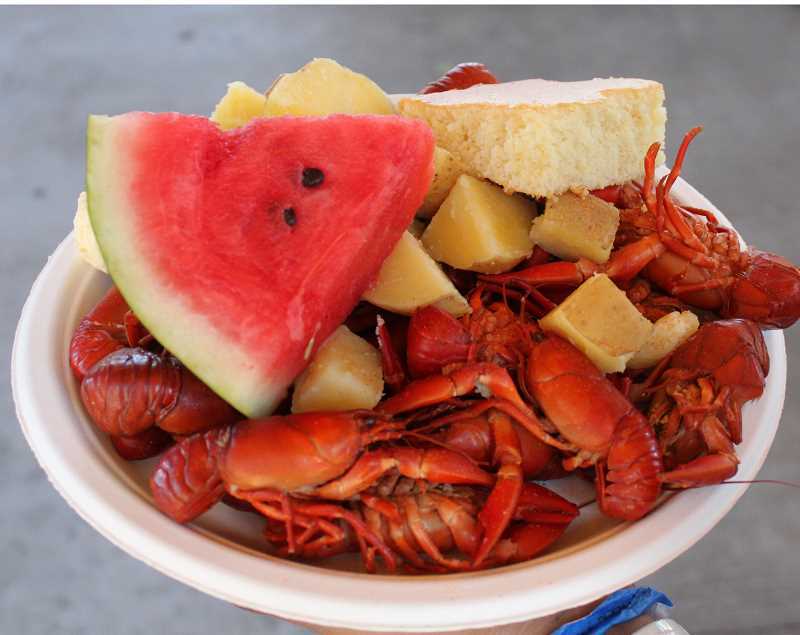 A full day of fun and plates heaped with crawdads are ready for those attending the Culver Crawdad Festival, which runs from 7 a.m. to 5 p.m., Saturday, Aug. 18, at Culver Veterans Memorial Park. Admission is free. Events kick off with a 25-mile Bicycle Poker Ride at 7 a.m., sponsored by Opal Springs Water Co. Explaining a poker ride, Culver City Recorder Donna McCormack said, "They start at the park and get a card at each stop, and the one with the best hand gets a prize. The route goes along the scenic bike route on the rim above Cove State Park, and hopefully, they get back in time for the parade." The entry fee for the Bicycle Poker Ride is $20, with this year's proceeds helping fund a basketball court at the park. The Crawdad Fest Parade begins at 10 a.m., in down Culver, and McCormack said entries are still being taken. "People can enter that day, or sign up at Culver City Hall or the Chamber of Commerce," she said. Some 45 vendors will have booths at the park, with all kinds of crafts and products. The Crooked River Ranch Lions mini-train will be giving kids rides, the Culver splash park will be open to cool off, and there will be family and kids' games to play including badminton, volleyball, and a horseshoe toss. Bingo will be played from 4-5 p.m. The main feature, an Authentic Cajun Crawdad Feed, will be served from 11 a.m. until the food runs out (around 4 p.m.), for $9 per plate. The meal includes 1 pound of crawdads, corn on the cob, cornbread and butter, watermelon, and soda pop. "We usually serve 850-900 pounds of crawdads. So, come early; we may run out," McCormack advised. Musical entertainment during the feed features the Ol' Front Porch Bluegrass Band at 11 a.m., singer Scott Brockett at 1 p.m., and the Smokin' Guns Band from 3-5 p.m. There will also be a beer garden for adults. The popular Chuck Wagon Cook-Off will be back, and new contests include barbecued rib and pie baking contest, with cash prizes for the winners. Plus, free samples of the delicious results of the contests will be passed out to the spectators. For more information, call Culver City Hall at 541-546-6494, or visit www.cityofculver.net.